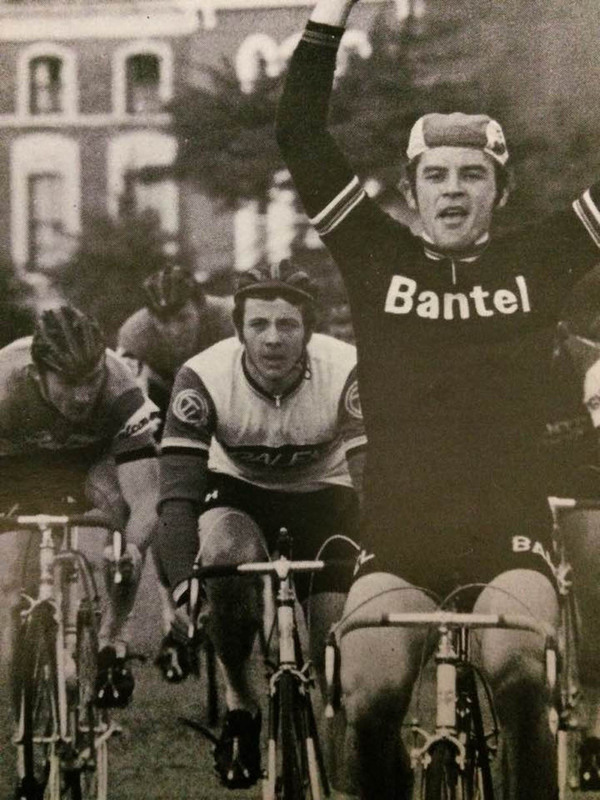 Retro Interview: Dave Rollinson; twice British Amateur Road Race Champion, Tour de L’Avenir stage winner, French amateur Classic winner and twice a Worlds top 20 finisher. He had the world at his feet, turned pro – and then. . .
We caught up with Dave at his home in Spain recently to discuss a career which looked like it was heading for continental professional stardom. PEZ: How did you get into the bike, Dave? Dave Rollinson: I come from Liverpool and in the 1960’s there were no opportunities, I had a second hand ladies bike and it meant freedom for me, I used to pedal off into North Wales with a bottle of water and a jam sandwich. Before I joined The Liverpool Mercury club I used to pedal up to Anglesey and back, that was 95 miles each way – but I wasn’t sure if I was good enough to join a club. I was in Jim Soens bike shop and when I told him about the Anglesey runs he said; ‘I think you’re very capable of being a club cyclist, son!’ and I joined The Mercury. 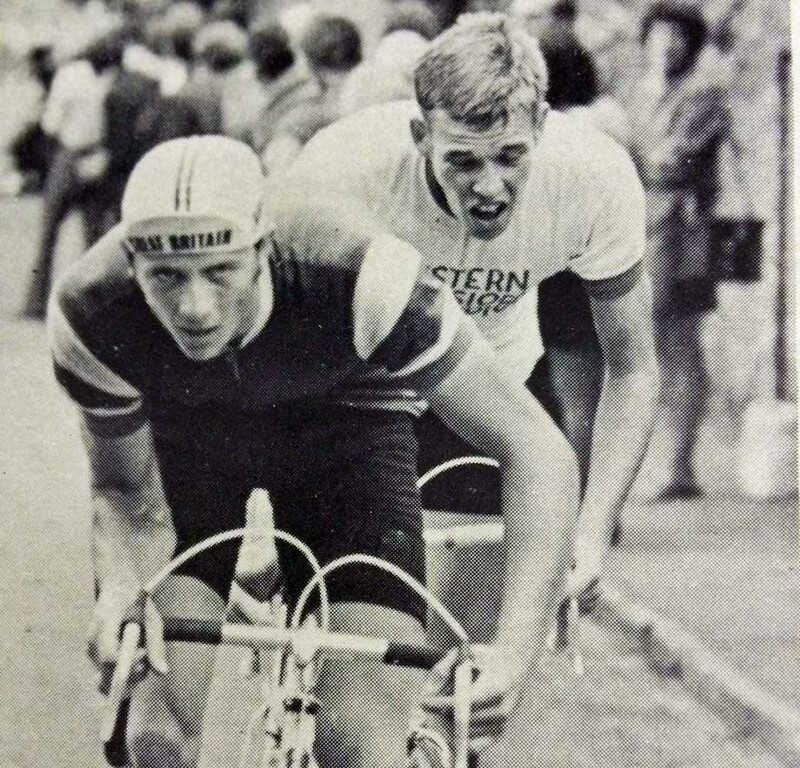 PEZ: Your first big result was second to Les West in the ’67 Tour of Britain Milk Race. I was just 20 at the time and Les was an established star, in fact, one of my heroes and a nice guy. I’d actually beaten him to win the Archer GP - Danny Horton was second and he was third – earlier in the year. I won a stage in that Milk Race, beating Peter Buckley who was Commonwealth Games Road race Champion. PEZ: What about the Liverpool Mercury v. Kirkby Cycling Club rivalry? There was terrific competition both in training and in races – we were blue and white, they were red, yellow and black. The late Ken Matthews was the main man with the Kirkby, he was a journalist on the Liverpool Echo and wrote for Cycling Weekly so he made sure the Kirkby always got the best press! PEZ: Your British palmarès were huge in 1968. Yes, it was a good year, I won the Division Championship, was third in the British Championship, won the Star Trophy (equivalent to current Premier Calendar but with more events and more hotly contested, ed.) I was fourth in the Tour of Britain Milk Race, winning a stage and took third on a stage in the Tour de L’Avenir. PEZ: And of course, 1968 was Olympic year. . . The whole year was about the Olympics in Mexico City, I was flying going into them at my best weight of 10st.7lbs. My club mates knew that when I hit that weight I’d be on top form. In the Tour of Britain I’d been fighting with Gosta Pettersson – who went on to win the Giro d’Italia - we were pretty evenly matched; but in the Olympics he won a medal in the TTT whilst I didn’t ride well. With the benefit of hindsight I think we did too much training at altitude – we were out behind the motorbike - the city is between 7,000 and 12,000 feet above sea level and we didn’t recover properly from it. Pierfranco Vianelli of Italy won but then did very little after that as a professional. PEZ: Was it your stage win in the 1969 Tour de L’Avenir which got you the team place in France? No, actually it was when I was in Mexico at the Olympics, a journalist put me in touch with Andre Boucher who was Jacques Anquetil’s trainer – and he also coached the English rider, Peter Hill to two second places in the amateur Grand Prix des Nations. Boucher invited me to France so I saved up £250 and set off on the boat train to France. I got chatting to a French woman who was a school teacher and spoke English, on the train. When the train stopped at Rouen there was no Monsieur Boucher there to meet me as was supposed to be the plan. The French woman spoke to the ticket master for me – everyone in Rouen knew who Boucher was – and he got it sorted out for me. I never got the chance to thank her - Boucher just said; ‘oh, I thought it was tomorrow!’ (At PEZ we’ve heard similar tales about riders arriving at ACBB in Paris and their chaperone failing to show – this was actually the first test of the rider’s initiative and ability to cope with adverse circumstance. ed). PEZ: Brno 1969, the Amateur Worlds, 19th with four GB riders top 20 – you, Pete Smith, Brian Jolly and Billy Bilsland. 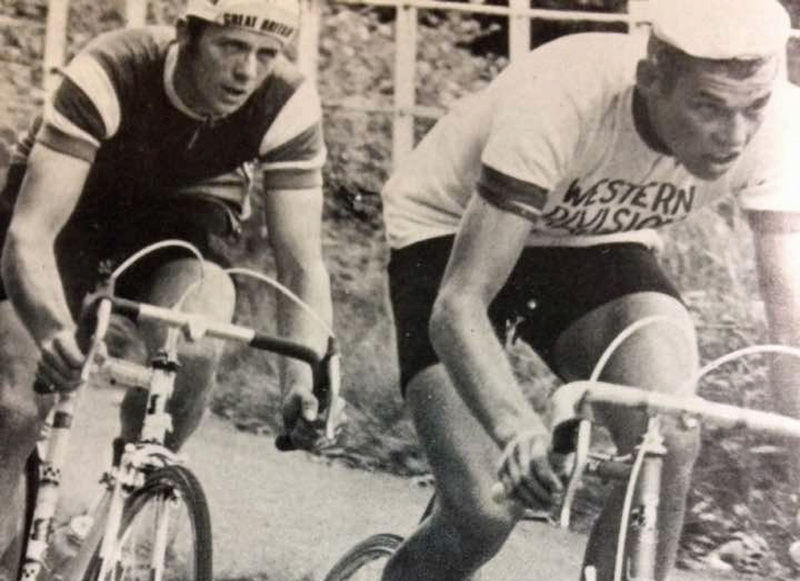 It was a good team but I’d also been top 20 in the Worlds in ’67 at Herleen, we rode out to that one. The 1969 season wasn’t my best though I was unsettled; it was a transition season between the UK and France. I was on holiday when I heard I’d been selected for The Worlds, Pete Smith was seventh; he clipped off the front of the bunch before the big sprint. Leif Mortensen of Denmark won with the late Jempi Monsere second, the following year in the Leicester pro Worlds the positions were reversed. 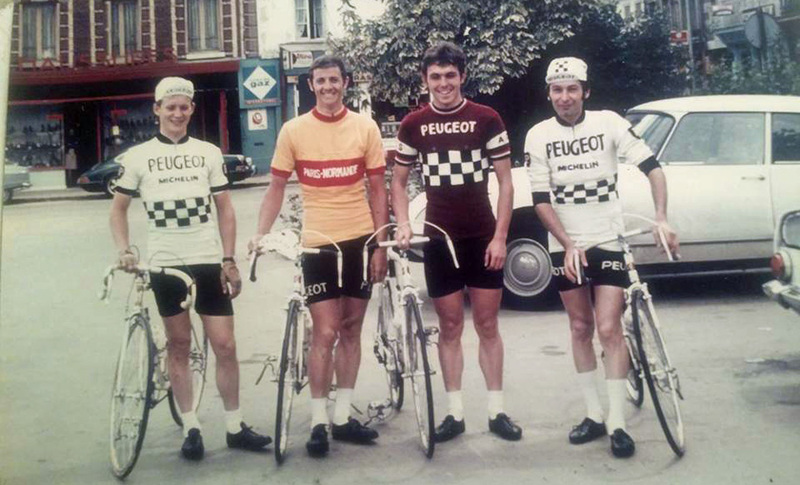 PEZ: Season 1970 went well for you in France. I was flying in 1970; Paris-Rouen is the oldest race in the world between two cities, the English rider James Moore won the first one in 1869, the 1969 race was the 100th anniversary and I was third. 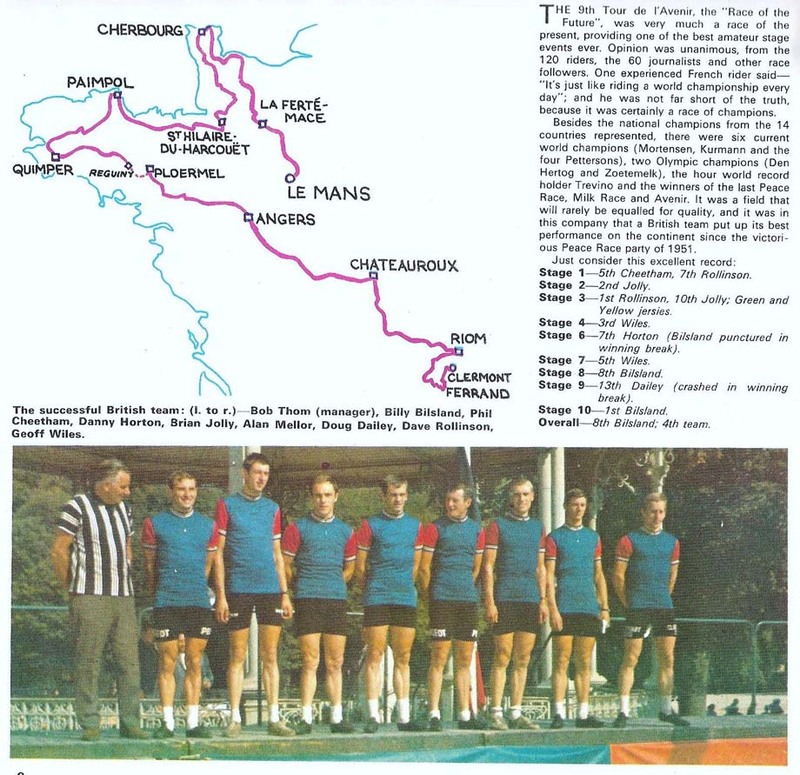 But in 1970 I won it - the 101st Paris-Rouen. I also won the season long Maillot des As competition – Anquetil’s name is on the roll of honour for that one. PEZ: You won the British Amateur Champs in 1970. That was a great day, really great, I was flying, there was a break of about 20 away and I rode across to it. They were fighting for the primes but I remember giving the GB selectors who were there that day a little wink, as if to say; ‘watch this’. Big Gary Crewe’s coach was there, beside the road and he shouted to Gary; ‘you can win this, go now!’ So I did! PEZ: As a Scotsman I have to ask you about the Tour of the Grampians, that year. . . I loved the hills and I was flying, just back from France. But that race was pre-Edinburgh Commonwealth Games and I decided not to go too deep, my mind was totally committed to The Games but that easing back affected me, I think. We let a break go and with the wind blowing down the hill (the Games road race took place in pouring rain over interminable laps of the Arthur’s Seat circuit in central Edinburgh, ed.) it proved really difficult to try and get them back; I finished fourth to Bruce Biddle of New Zealand. Coincidentally, I was in his shop in New Zealand two years ago and bought a bike there. 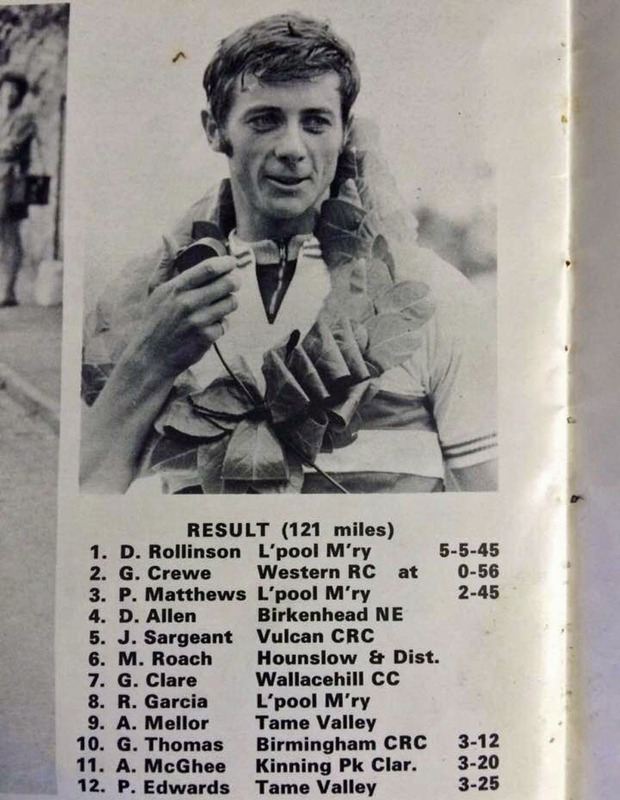 PEZ: British Champion again in 1971. That was almost a demonstration race; I’d come from the continent and there was just such a difference in the levels. Doug Dailey was away but came back; I knew exactly what I was going to do that day – Phil Bayton was second. PEZ: And France was good for you again in 1971. 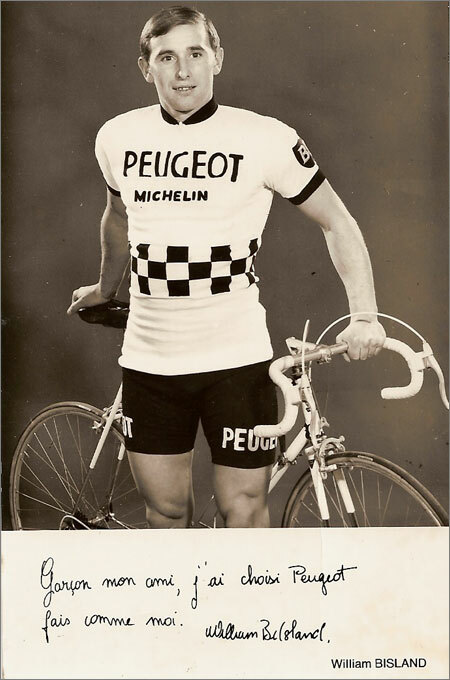 I was really going and promised a contract with Peugeot, like Scotland’s Billy Bilsland had done; but with the Olympic Games coming up the rules changed and there was a limit placed on the number of foreign riders a pro team could take. 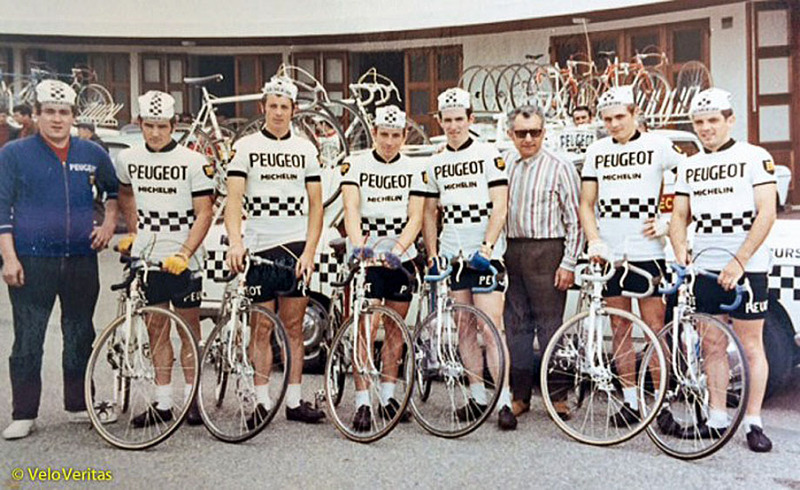 They’d taken on more Belgians to back Godefroot at Peugeot so there was no place for me on the team. PEZ: Pro in the UK for ’72. 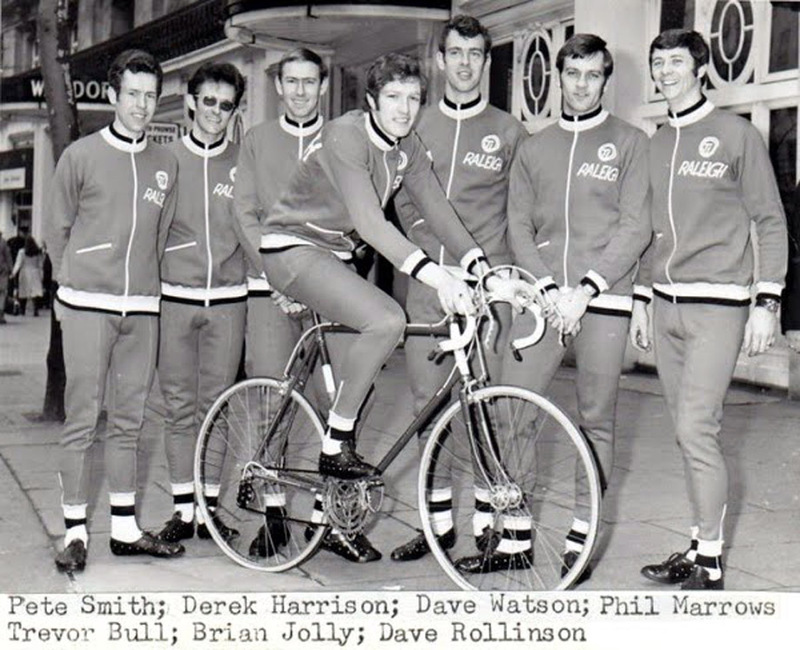 In 1970 I got married so I had to get a job and started with Raleigh as a sales representative; I also got a ride in their pro team with the likes of Brian Jolly for ‘72. I wasn’t happy with myself though; the repping was going well but I was training at night – there’s a vast difference in trying to get the best out of yourself between being a full time bike rider in France and going out with the lads at night after a day’s work. I was doing really well on the commercial side and could see a future in selling bikes but it was an unhappy time for my racing because I’d lost focus – especially with the likes of Sid Barras and Brian Jolly full time on the bike. The team was well enough organised but it was a different league to France – there were only 20/30 fellas in the bunch in Britain and I never really raced at full steam. I raced a little in 1973 but after that I moved into a commercial life. I did really well at that but I’d still look at what the Petterssons, Den Hertogs and Ovions – all of whom I was on a par with – and see what they were doing on the bike. . .
I’ve asked myself 1,000 times why I never fulfilled my potential as a rider – but I have to separate the emotional bike racing side of things from my commercial life, which has been successful. When Jacques Anquetil died his old soigneur asked me to help look after ‘Maitre Jacques’ chateau ‘til things were sorted out. 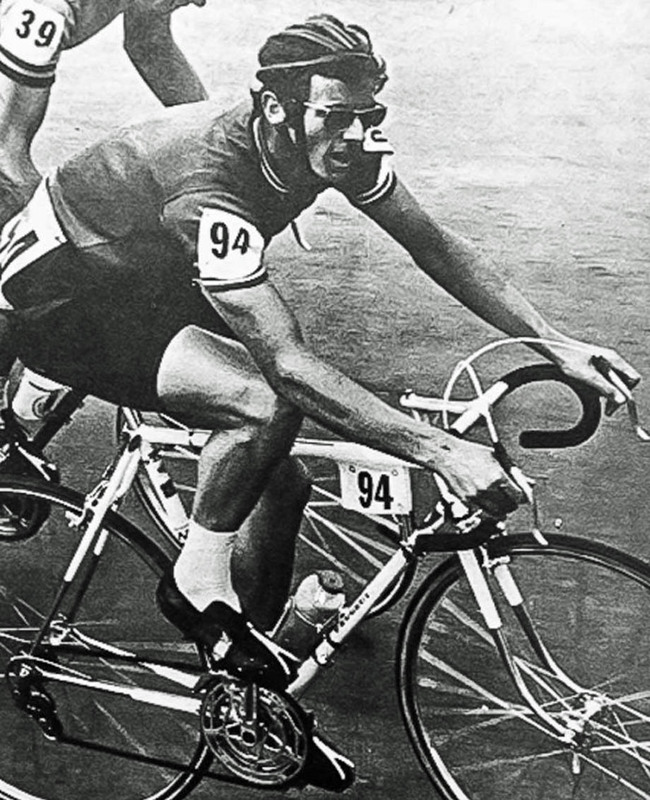 I’d been there before when Anquetil was alive and I was racing – he did like to party! But some time later I bought a chateau not far from Anquetil’s old place – but mine was bigger, so I guess I haven’t done too badly. . .